Have you ever been called upon to give a speech to introduce someone to a large gathering? This free article can assist you in delivering a good solid effective introduction. Learn what the goals of an introductory speech are. 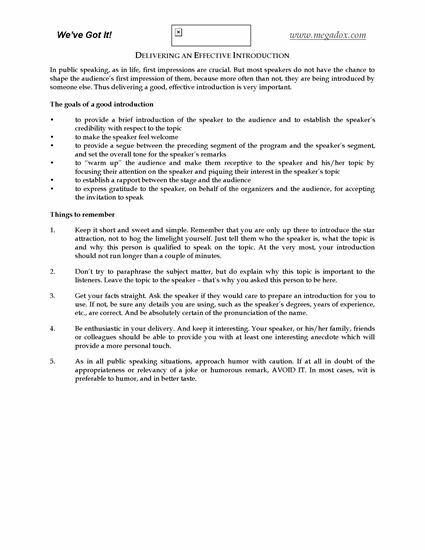 A list of do's and don'ts that you can apply while writing your speech. 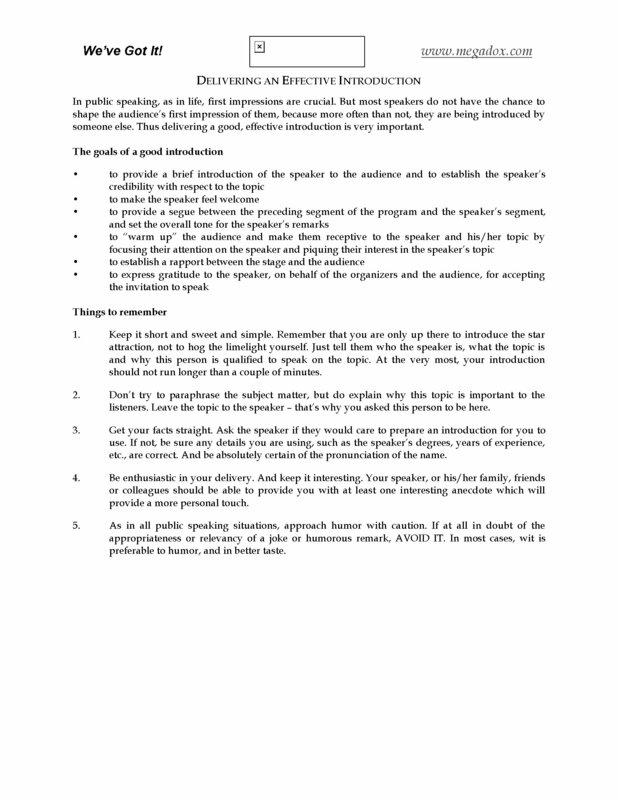 Giving an effective introduction is an important part of the art of public speaking.